I had this recipe pinned for months and kept coming back to make it, but never got around to it until last week. Yes, I’m that far behind in blogging! This was a quick casserole to make especially when the chicken and rice are already cooked. I’m always trying to find recipes that use leftover chicken and this is a perfect one! 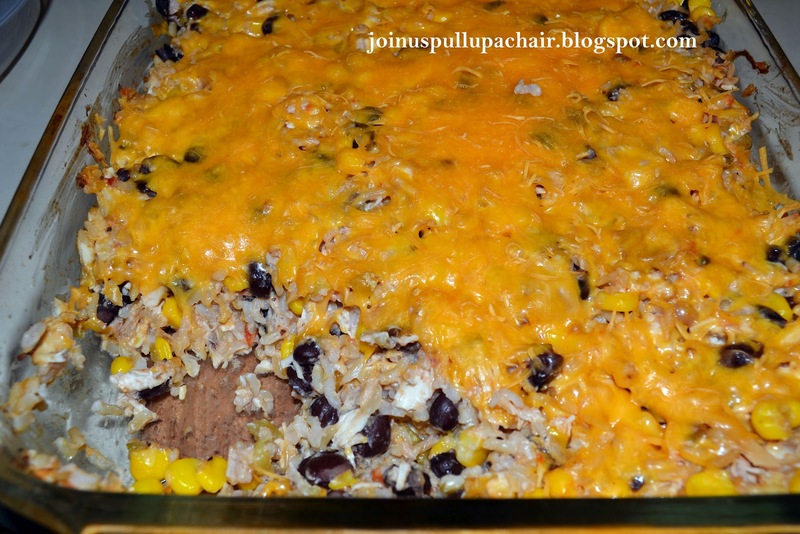 We all loved it and something different than any of the other casseroles I’ve made before. It’s definitely going on my make again list. Preheat oven to 350 degrees. In a large bowl, combine all the ingredients and mix together. Season with salt and pepper. Transfer to an oven-safe baking dish and top with the extra cheese. Bake for 20 to 25 minutes or until heated through. Garnish with chopped cilantro if desired.